I’ve always liked visiting stores that could satisfy my insatiable desire for beautiful scents. I still remember how excited I was when mom was taking me to spice or coffee stores. It was as if all my senses were instantly revitalized…Some years later I am still filled with nostalgic memories every time I enter a place like that, but now I have an even better…and more girly choice…and that is a perfumery. 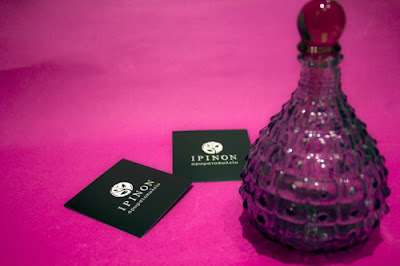 It’s not long ago that I discovered Irinon a perfume store located in Macedonia Bus Station in Thessaloniki. The place immediately distinguishes itself and cannot but attract your attention because of the high aesthetic that reflects the owner’s good taste and love for selected fragrances. 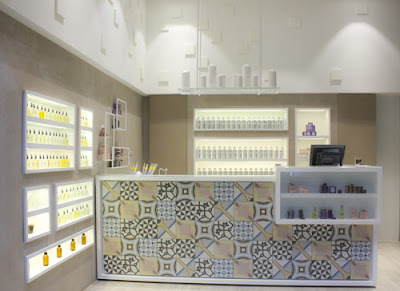 Its geometric design and simplicity brings in mind the traditional perfumeries in Paris while the recess lighting succeeds in bringing to light the products themselves. Small treasures for both men and women are there to be explored and offered as a present to yourself or your beloved people; perfumes, essential oils, aromatic or biological soaps, face and body care products, everything of excellent quality and in reasonable prices. 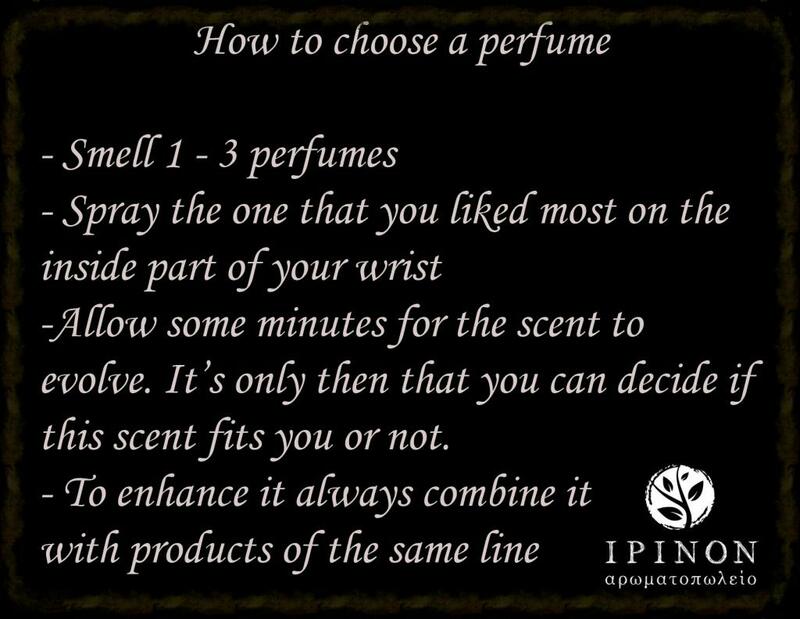 To be more specific you can choose your favorite perfume in a bottle of 30ml, 60ml or 100ml, with prices ranging from 7€ to 17€. even the time of the day. 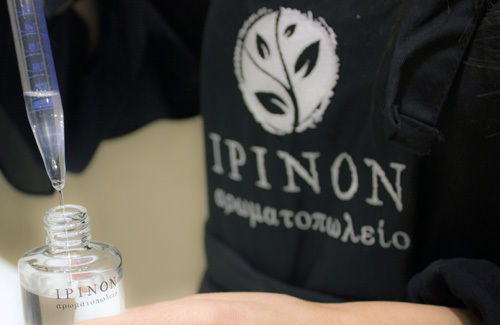 I prefer refreshing fragrances for the day and more spicy ones for the evening.”, said Mina Milonidou, the owner of the store, who also gave us advice on how to choose the best perfume for us. Finally, another product that I think you would love is the hand cream with olive oil and pomegranate extract. It’s a greek product and 100% naturally flavored. This time it’s a gift for mom. I’m sure she will love it…and of course she deserves it for all the beautiful scents she has given to me so far. Αναρτήθηκε από Chadlen στις 11:12 π.μ. Kate Letivaki 4 Σεπτεμβρίου 2013 - 12:00 μ.μ. Πολυ ωραιο αρθρο, φαινεται πολυ ομορφο μαγαζακι σιγουρα θα περασω καποια στιγμη! Chadlen 4 Σεπτεμβρίου 2013 - 12:34 μ.μ. Ευχαριστώ πολύ! Νομίζω πως πραγματικά αξίζει τον κόπο να περάσεις!!! Εγώ έμεινα πολύ ενθουσιασμένη από το άρωμα που πήρα και από ένα ακόμη που θα περάσω να πάρω σύντομα. Και μ'αυτές τις τιμές...πολύ σύντομα!!! Ανώνυμος 4 Σεπτεμβρίου 2013 - 4:55 μ.μ. Chadlen 5 Σεπτεμβρίου 2013 - 3:23 π.μ. 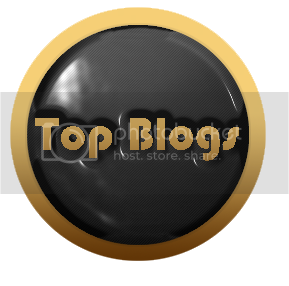 You are welcome to follow as and like our page if you want!!! Evi @ sexta-feira 4 Σεπτεμβρίου 2013 - 5:14 μ.μ. Chadlen 5 Σεπτεμβρίου 2013 - 3:26 π.μ. Bisma Rauf 5 Σεπτεμβρίου 2013 - 3:35 π.μ. Chadlen 5 Σεπτεμβρίου 2013 - 4:43 π.μ.